This pattern is available from cocoknits.com for $8.00. 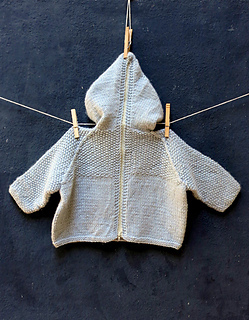 Sample knitted in #628 Azul. 4 skeins Blue Sky Alpaca’s Dyed Cotton (100% Organic Cotton, 100 grams/150 yds). 5 (6) skeins Rowan All Seasons Cotton (60% cotton/40% acrylic, 50g/98 yds). 5 (6) skeins Big Bad Wool Weepaca (50% merino/50% alpaca, 50g/95 yds). Zipper: molded plastic sports weight. 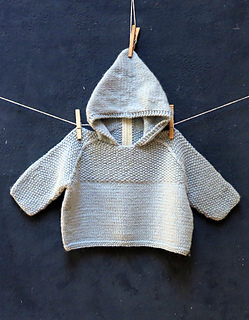 Measure your finished hoodie for length. (Note: I used a long separating zipper and cut it down to the desired length). Sewing needle and thread to install zipper.